The witching hour is upon us and the Recoverworld Labels return with the hugely successful 'THE DAY OF THE DEAD' series, in celebration of 'Dia de los Muertos'. 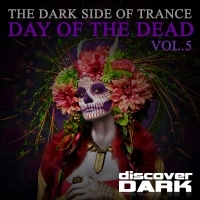 Volume 5 gives you more blood curdling trance, psy trance and tech trance, capable of raising the dead, sending chills down your spine and striking fear in your heart!! Our dark lords of terror unleash their deadly beats and this edition brings you tracks from Oberon, John Askew, Zach Zlov, Laura May, Cristian Ketelaars and many more.. Lock your doors, and turn up the volume! Its time to celebrate undead!